IT Consultancy – Getting it right first time! 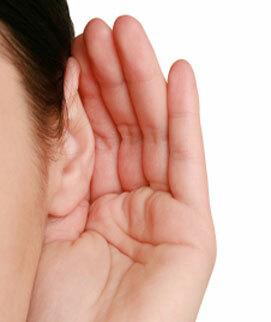 Listening and understanding is crucial to Consultancy. We provide IT consultancy services to small & medium businesses in Malta. Lornit has a highly experienced consulting team that includes senior level consultants that possess a broad spectrum of skills helping move clients forward in terms of strategic planning, business planning and the development of business operations. Lornit uses qualified PRINCE2 consultants to ensure projects can be delivered on time and on budget. Planning to maximise the value of your IT encompasses a complex hierarchy of activities. At the highest level it involves assessing the state of the IT organisation, ensuring investment is aligned with the business and that the organisation is equipped with the necessary resources to achieve its mission. The consultants at Lornit offer a tried and tested service that enables them to thoroughly understand the client’s business needs and tailor solutions around the resources available to the client. High performance is obtained through innovative solutions and the right implementation strategy. A well-planned and executed business strategy is fundamental. Consultants at Lornit can help create innovative business solutions. Information is vital to the success of a business, so the management of that data is critical. Lornit’s Information Management System focuses on how a business manages its data across its entire lifecycle – helping clients ensure that data is available, accurate and secure. Business cases may be required to justify the resources and capital investments needed to begin a project or to present an argument in favour of a particular course of action. Consultants at Lornit help clients to formulate proposals, tender documents, feasibility studies and analysis documents to help their clients justify resources and capital investments. Lornit’s services provide all the assistance an organisation needs to run effective and reliable IT operations. The operational services provided by Lornit range from helping implement best practise service management, to infrastructure services that ensure reliable and efficient operations. Effective IT service management is crucial to the operation of the IT organisation and IT Infrastructure Library (ITIL) principles are central to all Lornit’s service management solutions. Implementing best practice ITIL processes is a tried and tested method for improving service quality and reliability. Lornit’s infrastructure consulting services give IT organisations a deep insight into their IT systems, reviewing all aspects of their operation such as backup procedures and requirements for power and cooling. Recommendations for enhancement through consolidation and performance optimisations are also included. Act now! Get your complimentary consultancy session so that you can discuss how you can improve your business with one of our consultants.